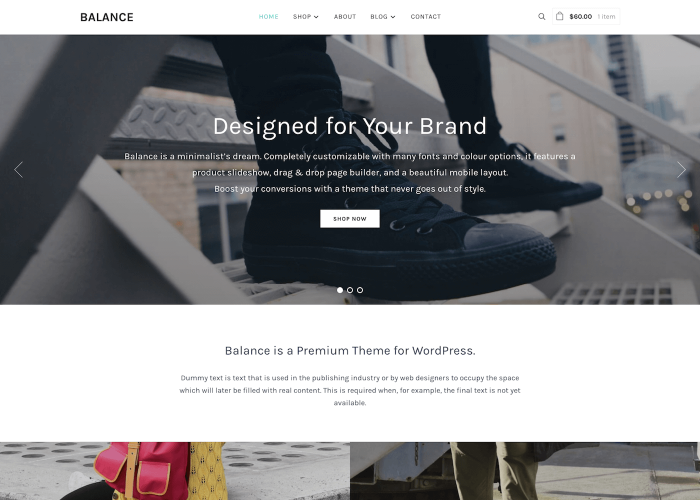 Balance is a flexible and feature-rich theme designed to wow shoppers. 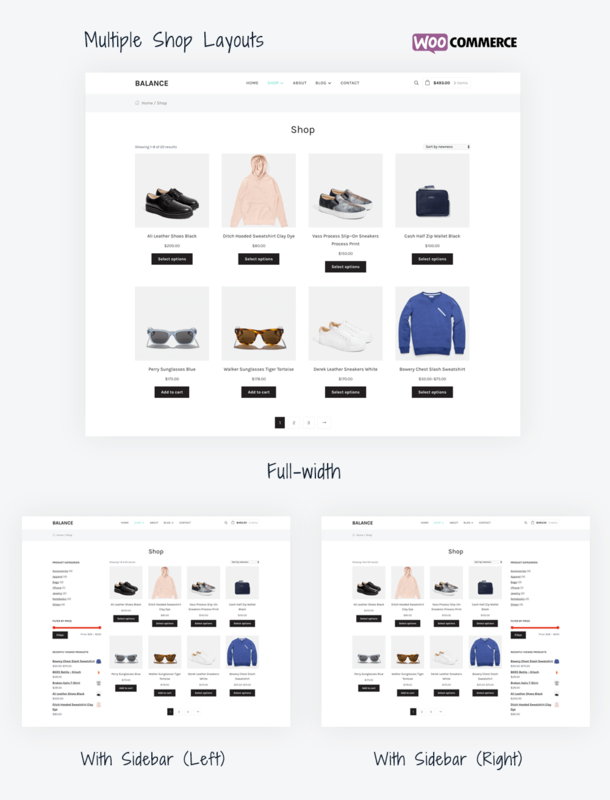 Its unique product grid and impactful white space call attention to your products. Powerful enough for any size of inventory, Balance can be tailored to suit any emerging or established brand. 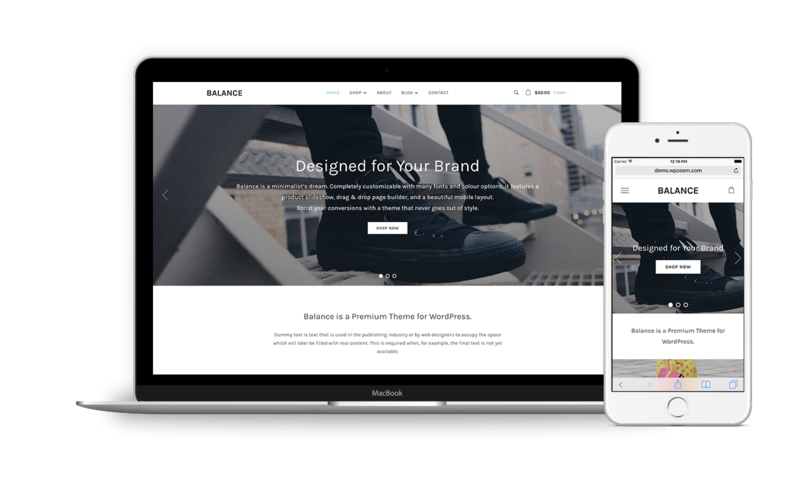 Balance features a fluid, responsive layout, so your pages will display perfectly across mobile and tablet devices. 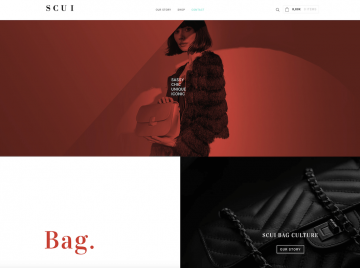 Every detail of your website will look perfect and professional, regardless of what resolution or screen size visitors have. 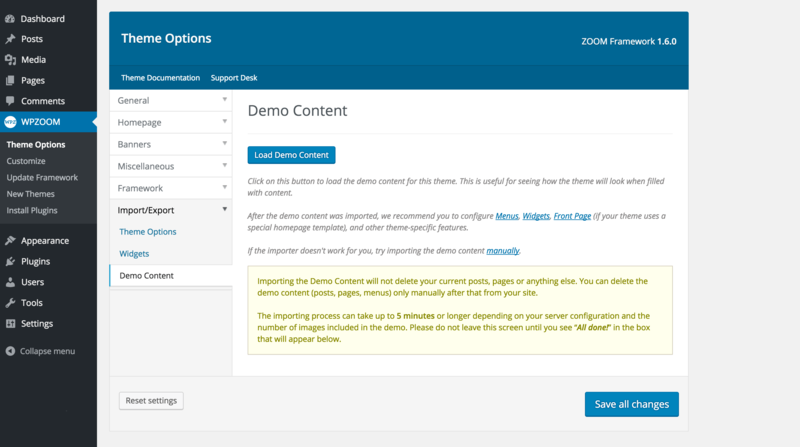 Balance comes with a full fledged drag & drop page builder that allows you to create countless pages using the content and media shortcodes. 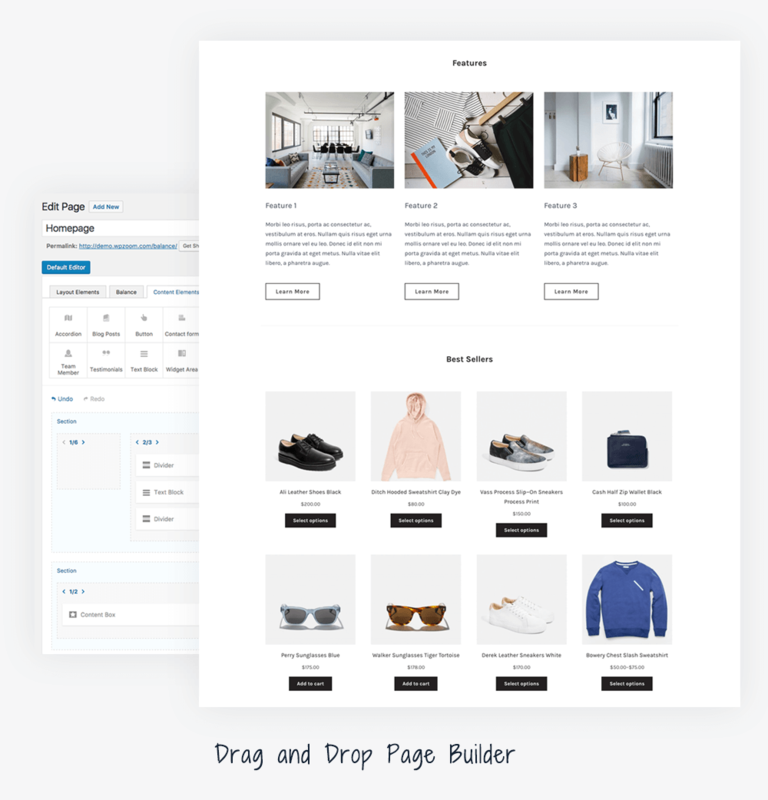 In order to make using the drag and drop Page Builder easy for you, we’ve included a few pre-built templates which you can import to Balance with just one click. 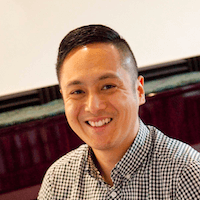 Selling through your website? 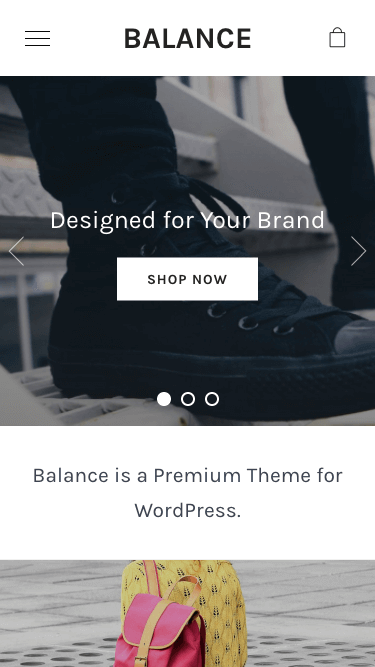 Balance is fully compatible with the popular free eCommerce plugin WooCommerce. 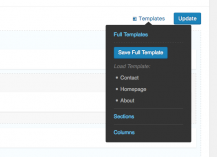 When WooCommerce plugin is enabled, a beautiful and useful Cart Widget will appear automatically in the header on all pages. 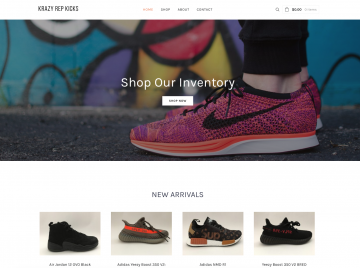 Your visitors will be able to see what’s in their cart much quicker. 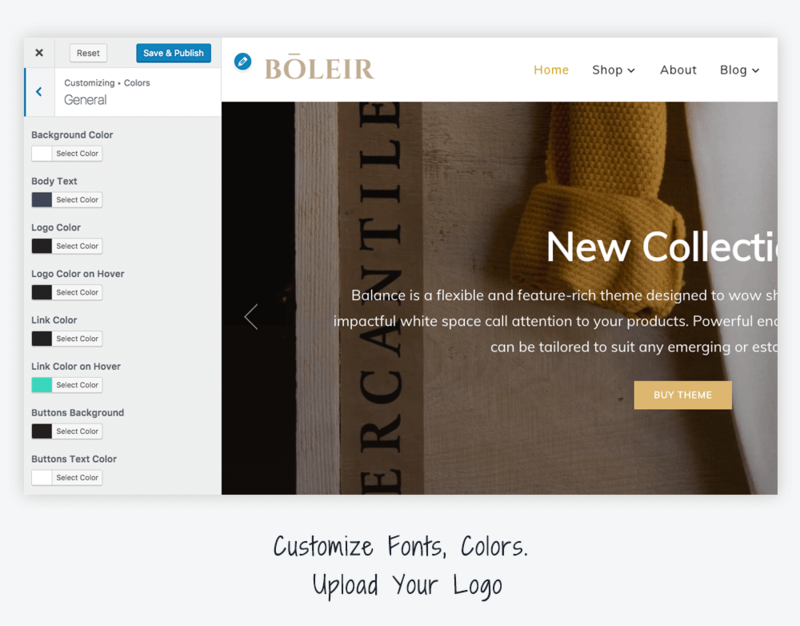 Balance comes with 6 pre-built color schemes, which you can quickly change from the Customizer. Choose between Green, Blue, Red, Pink and Orange. None of those appeal? Just use the Live Customizer to get the colors you want. 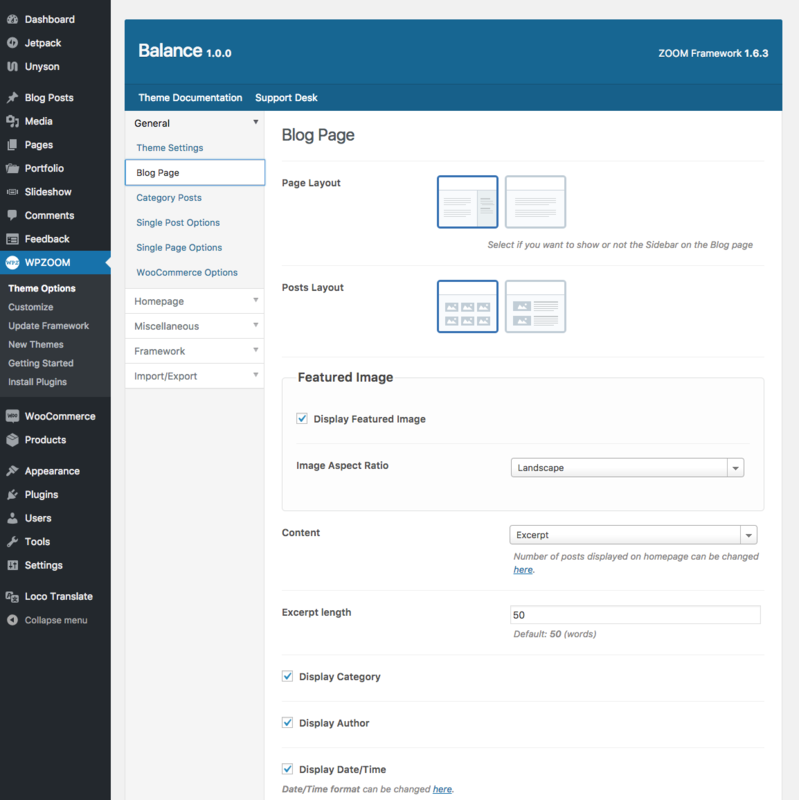 The blog template from Balance is very customizable and you have full control on every detail. 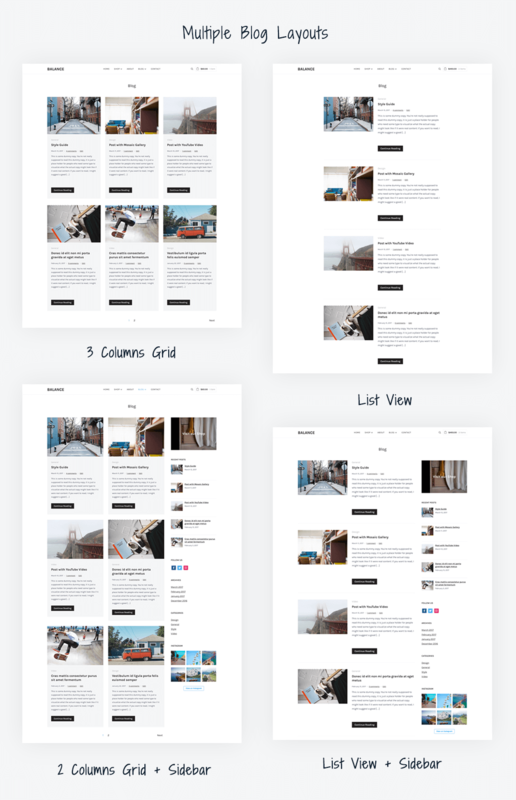 You can display posts in a grid layout with 2 or 3 columns or in a traditional list view. The Sidebar can also be easily enabled or disabled, depending if you need it or not. View Blog page. 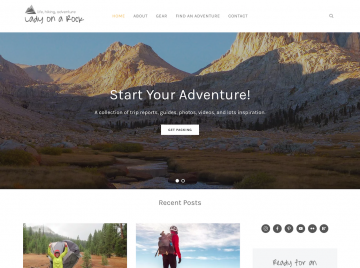 Our free Instagram Widget can be used as a regular widget in widget areas, but we also included a full-width widget area in the Footer which displays your latest Instagram photos in a beautiful full-width stream. Image Aspect Ratio – from theme settings you can control if thumbnails for posts are cropped to the same size in landscape mode, or if each thumbnail of posts will keep its original aspect ratio, which will prevent cropping of images in portrait orientation. Social Icons Widget area in the Footer – in the footer, below the footer widgets you can add links to any social networks you want. 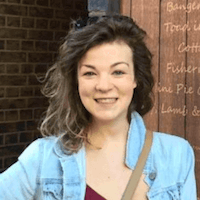 Jetpack Infinite Scroll Support – For blog posts you can use the regular paginated navigation or switch to infinite scroll to automatically load new posts as you scroll down the page. You can also change the behavior of infinite scrolling to load new posts when clicking on a button.